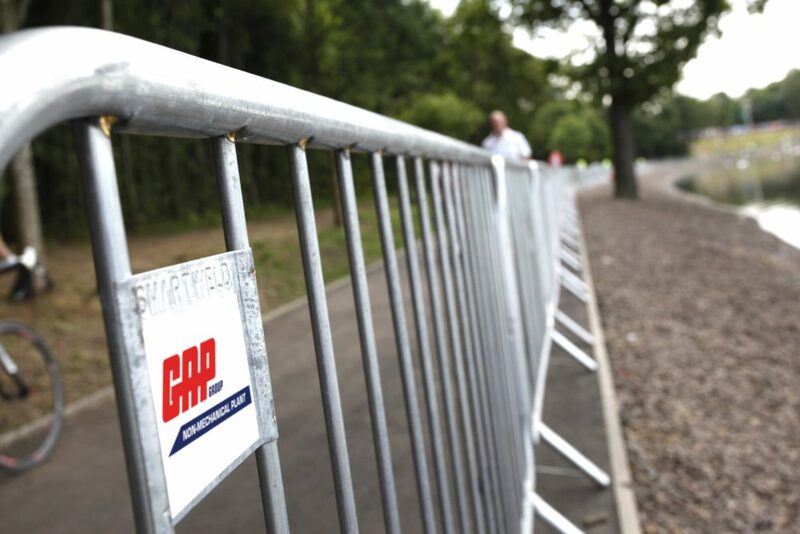 GAP has one of the largest stocks of crowd control and site demarcation products in the UK. This means that we can facilitate any requirement from small local events including nightclubs and other busy venues looking to help organise and control entrance and exit, to the largest of sports, music or mass participation events. Can’t find what you’re looking for? Contact us now. Find out more about us. 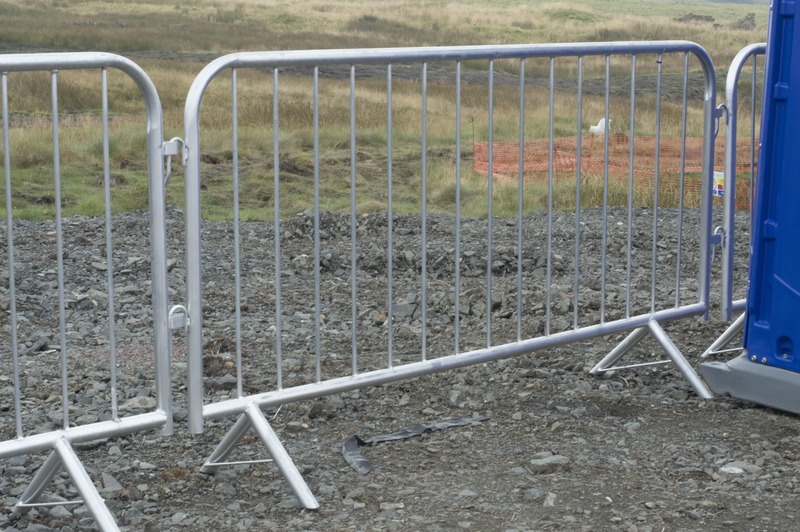 Crowd Control Barriers (also known as pedestrian barriers and crowd control barricades) are lightweight and ideal for keeping the public safe from hazards around construction sites. 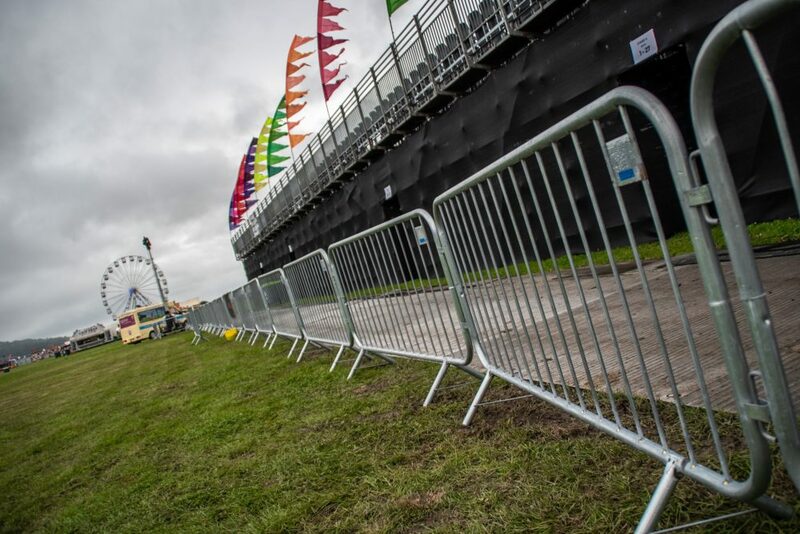 The barriers are also very popular in the event industry because they act as a physical and psychological barrier and are a very effective way of guiding pedestrian traffic safely by clearly marking footpaths. When pedestrian barriers are interlocked, security personnel can create lines of barriers that are very difficult to penetrate. This is because when the crowd control barriers are interlocked they become stronger and cannot be easily toppled over. Offset fixed legs increase stability and strength of the barrier while making them easily stackable. 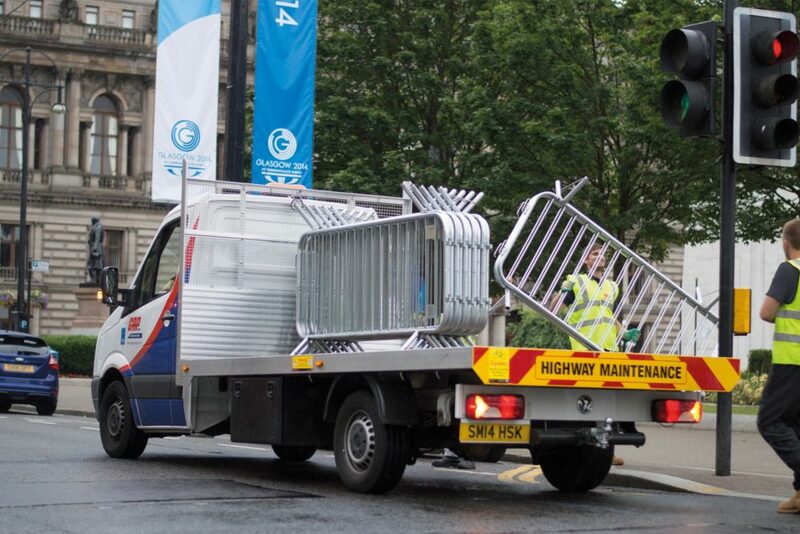 The barriers are manufactured with a galvanised finish which protects against rusting. 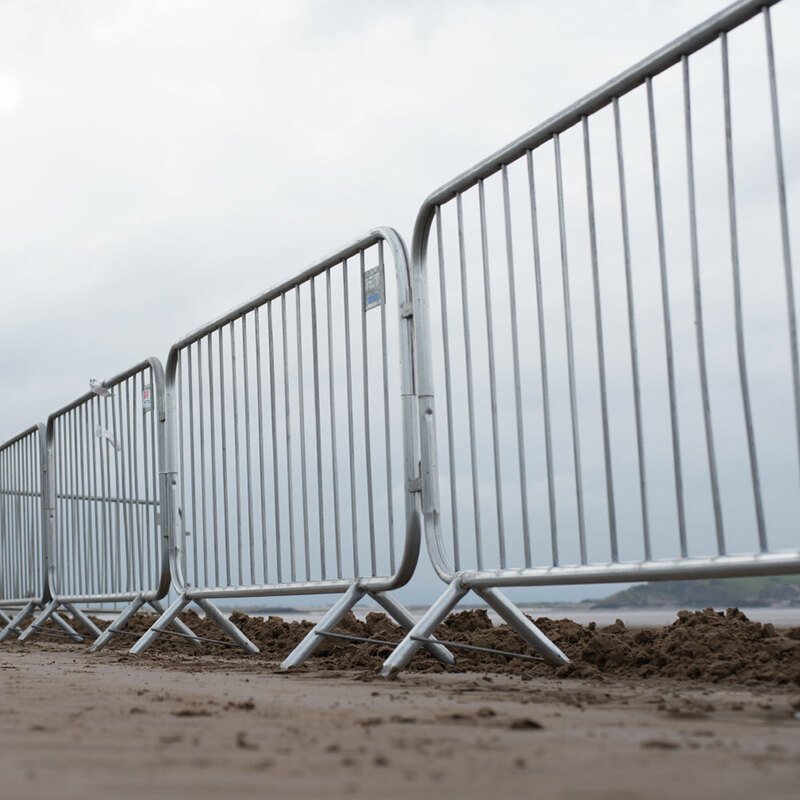 The barriers are also available in high-visibility colours (orange or red) – this incurs an additional charge for the powder coating. Crowd Control Barriers are quick and easy to deploy on construction sites or events. They are designed to couple together with the next barrier using a fixed hook and loop on either side. No additional couplers are needed to join the barriers together. The versatile barriers are easy to stack, meaning they can be easily moved from site to site. Therefore, they can be banded and transported from location to location. Add video. Due to the strategic locations of GAP’s 14 Non-Mechanical depots throughout the UK, our customers not only benefit from economies of scale due to our purchasing power, but also benefit from reduced delivery costs. Additionally, all depots have HIAB vehicles which are designed to maximise loads and provide efficiency. These vehicles eliminate the need for a forklift so we can deliver large loads to a suitable location on your site. During large events when deadlines are tight, efficiency is essential. A stacking error noticed just before a fully loaded artic lorry leaves can be an extremely frustrating and disruptive experience. Making errors whilst stacking crowd control barriers can cost you vital time and delay the running of major events. GAP’s Events team have produced a series of short videos showcasing operational best practice so you can avoid these costly errors and get on with the job. Watch GAP’s ‘How to stack Crowd Control Barriers’ video below. 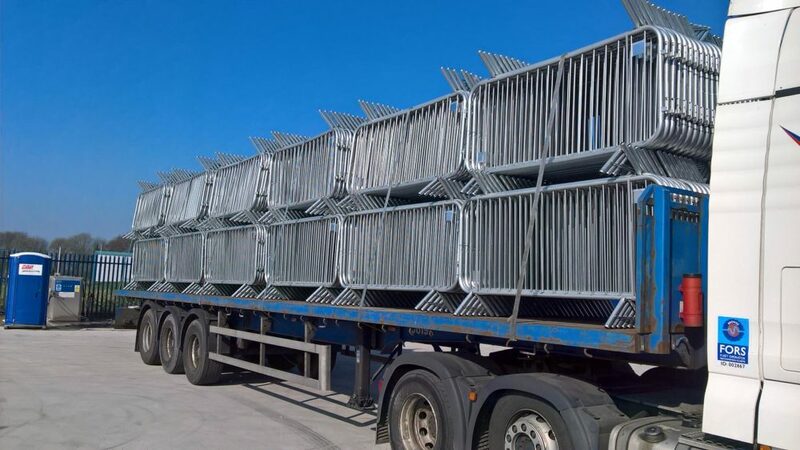 GAP offers an erection and dismantle service for all our barriers and fencing, so if you’re stuck for time or just want somebody else to do it, let us know and we’ll be happy to help. 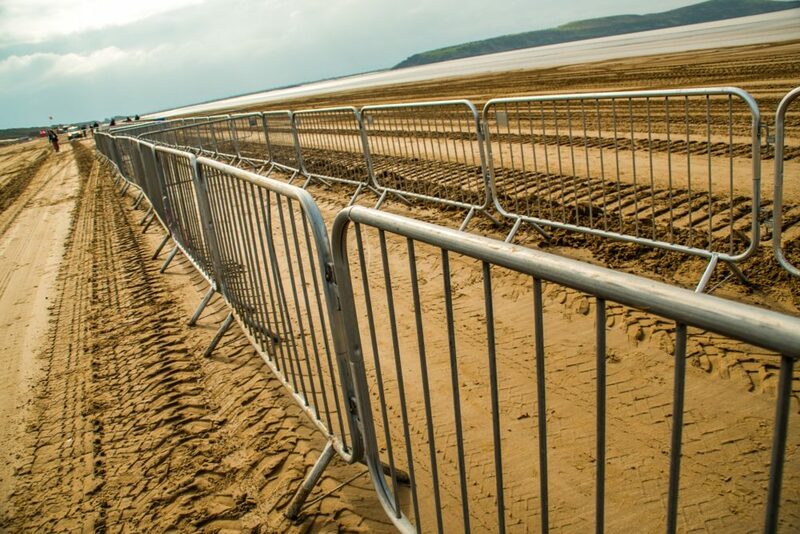 Please note – we only accept orders of a minimum of 20 crowd control barriers per transaction. Having trouble finding what you’re looking for or just want to speak to someone? Contact us now.